Mix and match 200 simple knitted blocks to create unique afghans, wall hangings and accessories with both contemporary and traditional designs. This books has everything you need to create unique afghans, wall hangings and accessories; from knitting techniques and step-by-step instructions for 200 decorative blocks, to inspiration and advice for creating a finished piece. 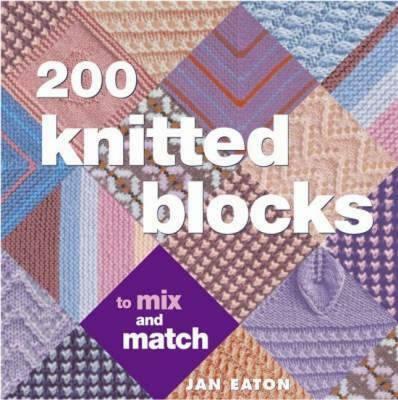 Each block is labelled with at-a-glance symbols that will tell the reader instantly what techniques are used to create the block and the level of difficulty, so both experienced and new knitters can pick and choose blocks according to their confidence.